What is Retin-A, and how does it work? How is Retin-A effective for wrinkles? What are the potential side effects of Retin-A? How can I introduce Retin-A into my skincare routine? How does Retin-A compare to other wrinkle treatments? Retin-A works by stimulating the production of collagen, increasing cell turnover and regulating the cell cycle. Retin-A, also known as tretinoin or retinoic acid, is a naturally occurring, acidic form of vitamin A. It’s part of a large class of chemical compounds called retinoids, which are used in medicine to regulate cell growth. 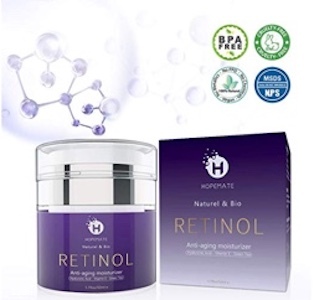 Of the many retinoids on the market, both natural and synthetic, Retin-A is the most commonly recommended by dermatologists for the treatment of acne, wrinkles, and skin damage. This is likely due to the fact that it is the most potent, and that its effects are well documented. UV radiation is one of the major contributing factors to accelerated skin aging. This is known as photo damage or photoaging. As there is substantial scientific evidence to support its effectiveness, Retin-A is approved by the FDA for the clinical treatment of photodamaged skin. Retin-A is available in three different prescription strengths, 0.025%, 0.05%, and 0.1%, and can be purchased as a cream, gel, or micro-emulsion. Along with sun damage, Retin-A is also commonly used to treat age spots, acne, and wrinkles. If you look at a child’s skin, you’ll see that it’s smooth and tight, without visible pores or wrinkles. According to Kappel, Retin-A can make the skin thinner for some, although this generally occurs following improper use. People with thin skin should use Retin-A less frequently, and combine it with creams that hydrate and strengthen the skin barrier. Initially, most people will experience irritation, redness, dryness, and peeling. These side effects appear within five days and last anywhere from two to six weeks. If your wrinkles appear worse at first, don’t panic — this is normal. By gradually introducing tretinoin into your skincare routine, these side effects will eventually dissipate. Before application, wash your skin. Wait 15 minutes, and apply the cream or gel once your face has completed dried off. “Use a pea-sized amount and dab it onto your forehead, cheeks and chin, Then ‘connect the dots’ by lightly spreading the cream to the entire face using an upward motion,” says Kappel. Don’t rub it in too aggressively — a light application is all that’s needed for it to penetrate into the skin. Make sure to take extra caution around your eyes and mouth. If you find the irritation too much to bear in the beginning, Kappel suggests mixing the tretinoin with one pump of moisturizer in the palm of your hand. This will decrease irritation without interfering with the product’s effectiveness. It is also recommended to use tretinoin only at night, as it breaks down in the sunlight. Improvements in skin quality from a standard application of 0.05% tretinoin cream can be seen after six to 12 weeks. With continued treatment for 12 months or more, new collagen formation and elastin production will start to become increasingly visible. “There are other ways to achieve similar goals — chemical peels and laser resurfacing, for instance. However, topical retinoids have the most scientific data supporting beneficial anti-aging effects,” says Kappel. Split-face comparisons of procedures were performed in a study published in the Annals of Dermatology. Researchers evaluated the effectiveness of tretinoin when compared to intense pulsed light (IPL) and nonablative laser treatments in 19 women aged between 30 and 52 years of age. At the end of the study, the researchers concluded that there was no significant difference between the treatments in the degree of overall wrinkle improvement. As the cream is less invasive and more convenient, it may therefore be a preferred option for wrinkle treatment and prevention. According to a study published by the University of Michigan Health Systems, using Retin-A for one to three months prior to a chemical peel, laser treatment, or dermabrasion will cause the skin to heal faster. This would mean that tretinoin can play a role in enhancing the results and efficiency of non-invasive skin rejuvenation procedures. However, Kappel recommends that you wait for one week after these procedures before resuming your Retin-A regimen. The experts have spoken: if you’re looking for a skincare product that has scientifically proven benefits, Retin-A is the answer. “It’s definitely a favorite among dermatologists to slow down the aging process and minimize fine lines and wrinkles,” concludes Kappel. Retinol based creams offer an over the counter alternative to retinoids like tretinoin creams and Retin-A that require a prescription. While retinoids are notoriously harsh, particularly on dry skin, retinol can be used by nearly anyone. The following creams help treat the visible signs of aging like fine lines, winkles, and age spots. Ayur-Medic’s simple retinol cream works by stimulating the body’s natural healing process to encourage the growth of new collagen. This cream can be used across the body and face. By focusing of retinol Ayur-Medic’s cream is an easy addition to your normal skincare regimen. 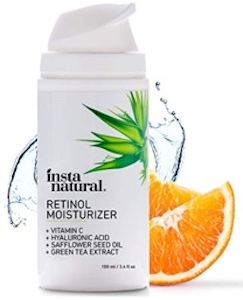 By combining retinol with natural ingredients like safflower seed oil and green tea extract, InstaNatural provides a well balanced retinol based face moisturizer. This cream also uses the power of hyaluronic acid (HA), an acid naturally found in the body that promotes skin healing. The moisturizer’s added vitamin C rounds out the cream to give skin a firm and toned appearance. Specially formulated to fight the visible signs of aging, this retinol based cream also works to restores the skin’s moisture. Hopemate uses organic plant extracts to create its natural wrinkle solution. This cream is cruelty free and vegan friendly, making it perfect for nearly everyone. RoC’s premium wrinkle fighting hydration cream is an ideal cream for hydrating and healing skin. 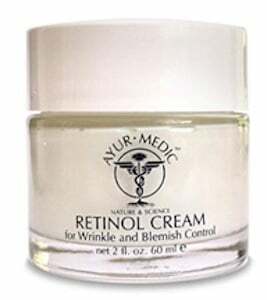 The retinol based cream can be used daily and works to improve your skin over 24 hours cycle. Best of all, RoC’s hydration cream moisturizes without clogging pores or causing pimples. For those looking to get the most out of their skincare regimen, RoC also offers a retinol based cream that is designed for the troublesome skin around the eyes. This dermatologist-tested cream can reduce the appearance of dark under eye circles, wrinkles, and crows feet. The fast acting cream provides noticeable results in 12 weeks or less.